I'm Jack, a developer out of Atlanta, Georgia. I've been in the field full-time since 2009 and part-time since 2006. Mainly using open-source technologies, I enjoy creating web applications, site design, and service oriented systems while broadening my knowledge in new technologies. From Atlanta by way of Birmingham, I'm also enjoy disc golf, surf music, computers, type I diabetes adocate, bicycles, and and attempting to get in shape...the latter being easier said than done. Collaborating with like-minded individuals to create the best possible solutions to any given issue is what drives me. I love creating software and approaching tasks with an open and positive mind. Accessibility and equal access for all are passions of mine. I build with accessibility first, NOT as an afterthought. Currently with IBM and formerly Georgia Tech, I utilize agile methodologies and multiple languages to streamline and create accessible systems across various stacks and architectures. I'm wanting to expand my front-end knowledge as well. Feel free to drop me a line at jack@samueljrains.com. I'm always up for exchanging ideas or possible collaborations. Here are some various projects I have been working on recently. They encompass my abilities, not only in web development and software, but design as well. Native mobile development is also on my radar. This section needs updating, but in the meantime, here are some examples of my body of work. Fill out the form below, or you could drop me an email as well. What is: 9 + 2? 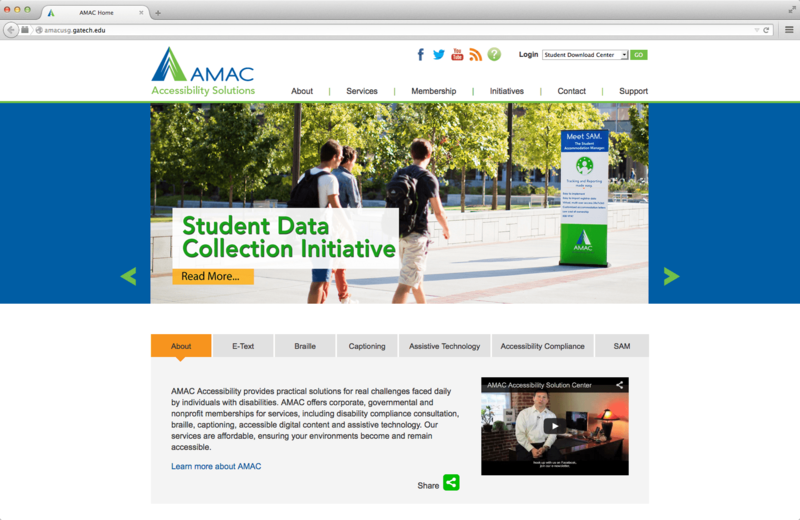 AccessText is a conduit between the publishing world and colleges and universities across the country, with a shared mission to ensure students with disabilities have equal access to their textbooks in an accessible format and in a timely manner. Accommodating multiple publisher's APIs, I developed a service oriented tracking system with extensive user management to provide accessible textbooks and requests to end users. The project includes extensive security restrictions, data modeling, geolocation services, and much more. Using MVC methodology and Amazon S3, the project migrated off the existing system architecture of the network and developed an extensive backend for user management, file delivery, and asset tracking. The Alternative Media Access Center is an organization based on removing the barriers in education for indivduials with disabilities. As one of only three developers, I have rewritten the realtime delivery of accessible media and facilitated the storage and access of over 15,000 accessible media files and hundres of thousands of mission critical data files. Primarily with the use of a LAMP stack (with Ruby scripts for backup) and agile development practices, I have helped create a single system for internal assets, employee information, sensitive student data, ticketing and support logging, in addition to accessible textbooks and media. 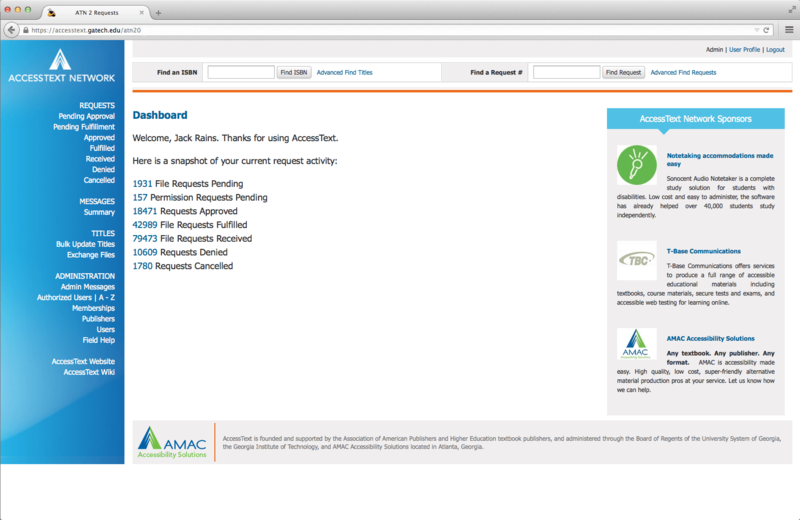 The AMAC project encompasses hundreds of membership organizations across the United States and is growing rapidly. With the growth, scalability of the database architecture and systems has become paramount to my position and continues to do so everyday. The Student Download & Resource Center is a web application that was designed and developed to integrate the existing ordering systems directly with students. The process streamlines ordering and conveniently places all information directly in the hands of the students. 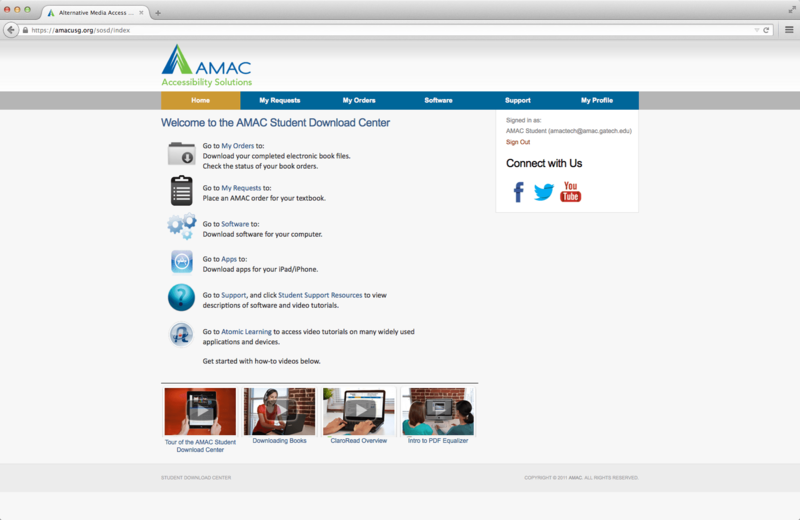 Also, the portal allows students to request orders, software, as well as download their media.